It’s isn’t that long until I can no longer refer to myself as ‘mid 30’s’ and while I’ll be tucked away with a bottle of Jack Daniels and some anti-depressants sobbing uncontrollably into a pillow there is one upside - presents. Over the last 20 years I’ve sampled over a hundred aftershaves of one type and another, ranging from the cheapest and nastiest to some of the finest luxury fragrances on the market. The first ever to grace my face (I’m a poet and I didn’t even know it) was Brut (stop laughing at the back) circa 1985 and was more of a childlike bathing in my dad’s aftershave of the time. It was rank! Since taking control of aftershave purchases for myself I’ve always had some firm favourites that I’m always drawn to so when it was suggested I should write about the fragrances I want to try it took a while. I’ve chosen six, I could have easily chosen six hundred and sixty six for comedic effect but my writing time is sadly limited. In true Jim Bowen style (that’s a Bullseye TV show reference from the mid 1980’s) - Innnnnnnnn one….. Anyone who has read my thoughts on the original Joop Homme will know that I really like it. I’ve tried Jump and wasn’t impressed, however the notes to Splash will me with some optimism. I haven’t even tried this or smelt it but the top notes of Coriander and Cassowary Fruit, heart notes of Cardamom and Sea Water and base notes of Labdanum, Cedar and Sandalwood lead me to believe that while not as fresh as I‘m used to, this will scream ‘I am man‘ by blending into a warm and spicy combo - rugged but also with redeeming lightness until completely dried down. As soon as I saw that Issey Miyake had released a variant of L’eau D’Issey I knew I had to try it. I’m a HUGE fan of this fragrance and even just a slight tweak to the fragrance would leave me drooling in anticipation. The original is so light and fruity I just can’t get enough of it, so to learn that there is another blended around the freshness of kiwi with woody and fruity undertones gets the thumbs up from me. The only downside - the bottle looks a bit camp, but I don’t care - this is on the list, it’s staying on the list and I’ll stamp my feet if I don’t get a bottle to try out soon. There, you’ve been warned! Back in my younger days, when inside toilets where just a pipe dream (I’m joking about the inside toilet) I liked Paco Rabanne’s XS but as quickly as it was a favourite it as quickly left the collection never to be replaced. I hadn’t smelt any other of their fragrances until I was presented with a small tester of Invictus. An invigorating mix of marine accord, grapefruit zest, bay leaf and patchouli. Unusual metallic notes are effortlessly blended together to add a level of invincible success to this deep and seductive fragrance. That’s what they say, and from the tester they are spot on. When first applying it was really strong but it dried down quickly to a warm sensual fragrance - the grapefruit and bay leaf are heavenly. I’d never tried a Prada fragrance, never owned one and I have to confess would normally never even approach the testers. This one is the extreme version of the original Luna Rossa fragrance for men and is marketed as a darker and more sensual take on the original. It has notes of Italian Bergamot, black pepper, juniper berries and vanilla. The marketing blurb says that it should create a fresh and spicy fragrance which hypnotises the senses and after having a few squirts of a tester I have been instantly hooked. As a fan of light and citrus fragrances this one really bucks the trend. It has the warmth of Christian Dior’s Fahrenheit yet is so subtle on dry down that the spice, bergamot and black pepper are infused beautifully. I tried just a tester and couldn’t stop smelling my hand. It’s addictive stuff. I’ve never tried a Marc Jacobs fragrance, in fact until last weekend I’d never even heard of the brand. A friend showed me a bottle of the female Daisy Eau So Fresh and I really liked how subtle yet fruity it was. I wander over to a few online stores to look how much it cost and stumbled across Bang for Men. The bottle looks as though it’s made of metal sheeting that has been punched in the middle. It oozes cool. While I have never heard of it, this has been around for years. I think I may have shopping blindness as I can hand on heart say I’ve never, ever come across this - and I think I’ve been missing out. Described as a peppery, woody and spicy fragrance the smell it claims is expolsive - that’ll explain the bottle then! With heart notes of elemi resinoid and benzoic and base notes of vetyver, white moss and patchouli this is going to be a warm and long lasting fragrance. It’s been seven or eight years since I last had a bottle of D & G aftershave. It was their original that I wore around the office. The fragrance itself was far too warm and the heart notes way to overpowering for the head and heart ingredients. It wasn’t bad, it was the Volvo or Volkswagen of the aftershave world. Hard wearing and reliable. However, the newest edition of the D&G The One range for men really ticks the boxes for me. I haven‘t smelt it but I can‘t wait to do so. It has watery top notes with Rosemary that suggest it will be light, heart notes Sequoia and Cardamom and dry down notes of Patchouli and Musk. This is something that will start light and dry down to a warm and masculine fragrance. This post is in no way exhaustive, I’ve sampled a few and loved them, a few I’ve only read the notes but immediately known that it would suit my skin and preference. 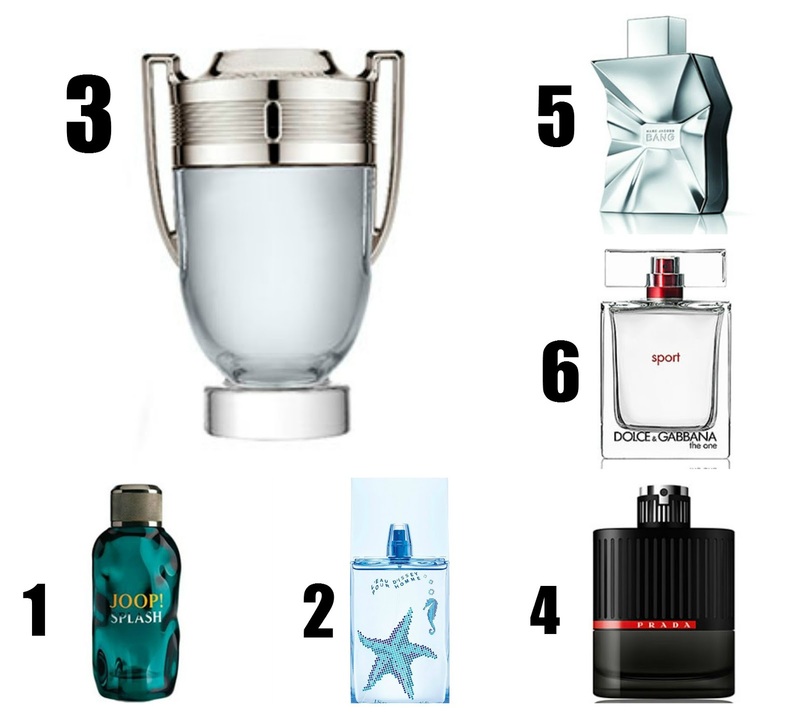 Thank you for taking the time to read my aftershave wish list - are there any fragrances you want to try? Marc Jacobs bang is one I've purchased as a gift, I also really like 212 by Carolina Herrerra. good There is definitely a talk about choice in this app, mobdro tv APK Mobdro crew is certainly consistently bringing up-to-date nice.